Following Secretary of State Hillary Clinton’s hospitalization for a blood clot that formed after she fell and suffered a concussion, CNN’s Dr. Sanjay Gupta provides a primer on the cause, nature and risks of blood clots. According to Gupta, blood clots most often develop deep in leg veins. The medical term for blood clots that form in the large veins of the leg or pelvis is deep vein thrombosis, and an estimated 2 million Americans develop DVT each year. Gupta refers to study that found the risk increases with more traveling. That’s because blood clots are generally caused by sluggish blood flow through the vein, which is aggravated by sitting in cramped positions for long periods of time. Although all birth control pills can increase the risk of blood clots, a number of studies indicate that pills with the compound drospirenone can increase that risk up to three times that of other oral contraceptives on the market. 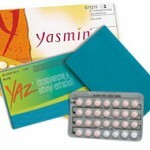 Pills with drospirenone include Yasmin, Yaz, Beyaz and Ocella.